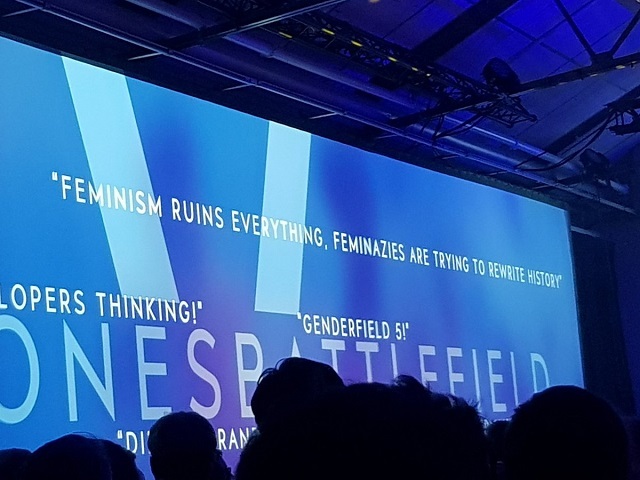 Even though sales of Battlefield V appear to have slumped dramatically, EA DICE doubled down on their social justice politics at the game's launch party in Sweden on Saturday. One attendee shared a photo from the event on Twitter and praised the "good speech by Dice boss Oskar [Gabrielson] tonight [about] equality." "Battlefield V has a woman fighter on the cover. Here are some of the comments EA got. Good speech by Dice boss Oskar tonight ab equality. About EA/Dice doing their bit in fight for equality. Loved it," Mia R wrote on Twitter. The picture features complaints from the Battlefield community who were frustrated by the "WW II game" featuring a bionic woman with a hook hand as the main protagonist in the trailer. "Feminism ruins everything, feminazies are trying to rewrite history," one comment says. One repeats "white men! white men! white men!" referencing the fact they ban people from saying "white men" in their in-game chat. 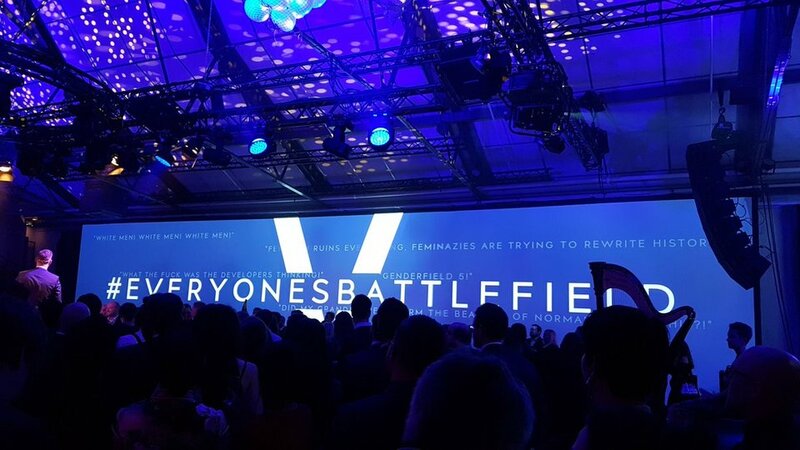 The comments were superimposed next to a giant hashtag, #EveryonesBattlefield. EA chief creative officer Patrick Soderlund responded to controversy over the game's left-wing propaganda by telling people to "either accept it or don't buy the game." 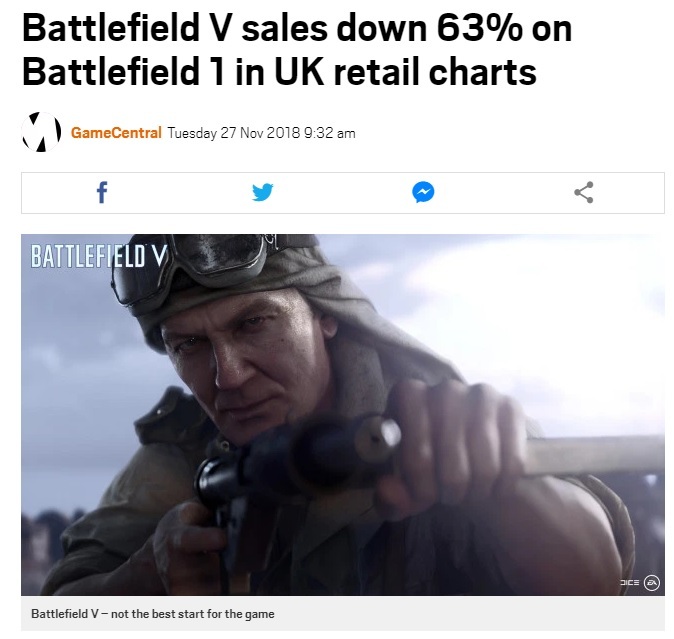 Seeing as how sales of Battlefield V are down 63 percent in the UK when compared with Battlefield 1 and the game went on sale for half off just days after launch, it seems people are choosing to do the latter. 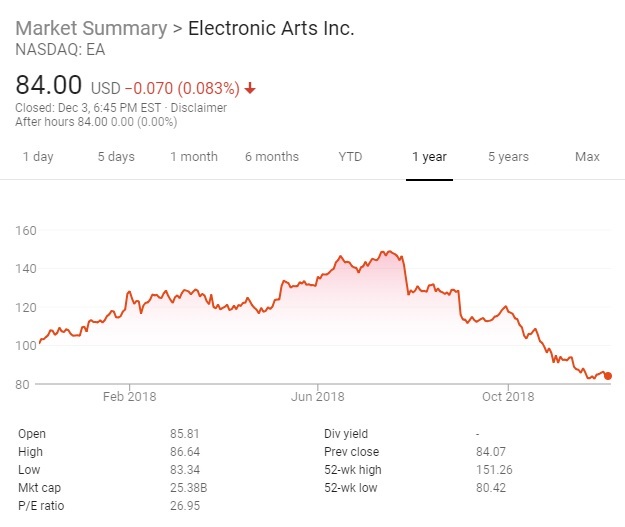 EA's stock has fallen 45 percent from its high in in July, with "negative sentiment surrounding the game maker in recent months" getting the blame. Additionally, on Monday EA DICE was forced to delay the release of their first DLC update after they "discovered an issue."